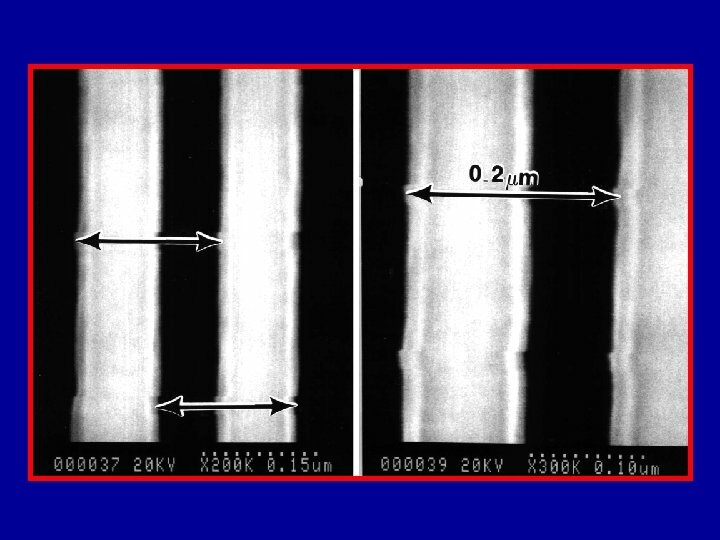 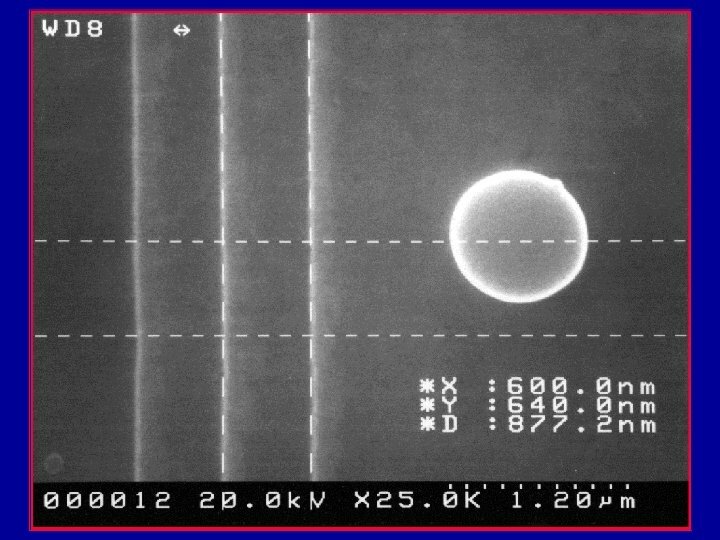 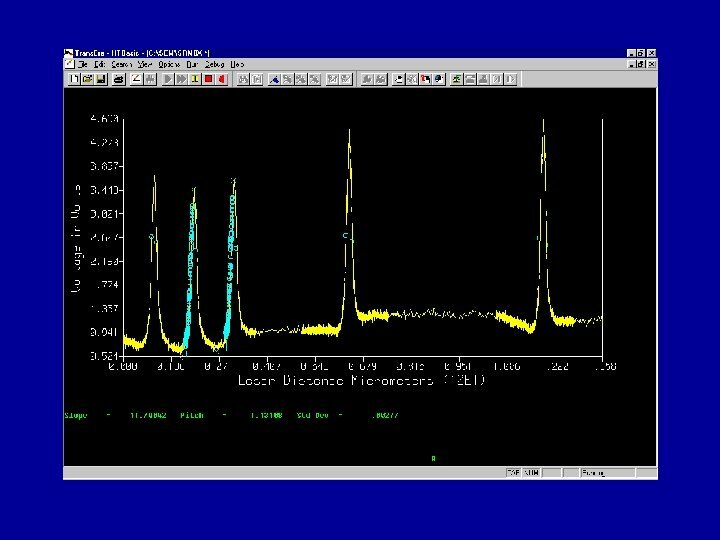 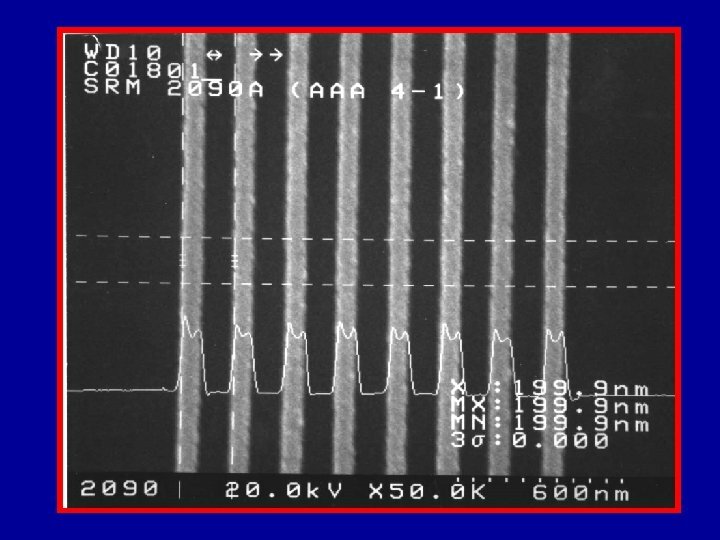 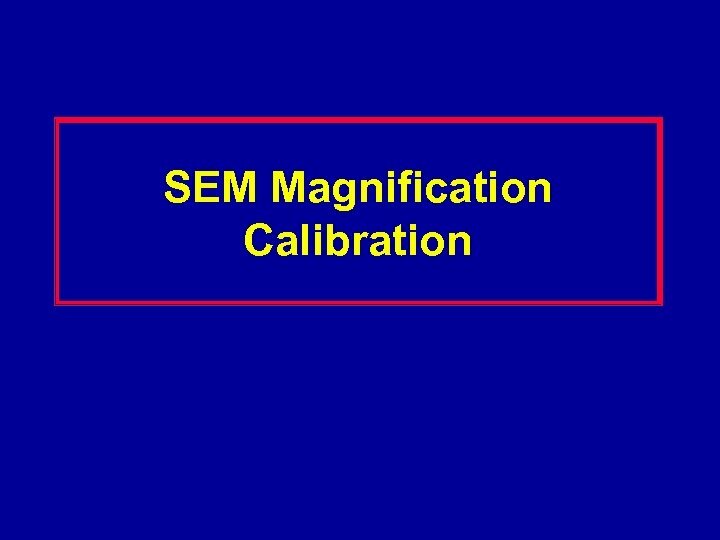 Magnification Calibration • SEM magnification calibration is generally based on the measurement of the pitch (displacement) between two structures. 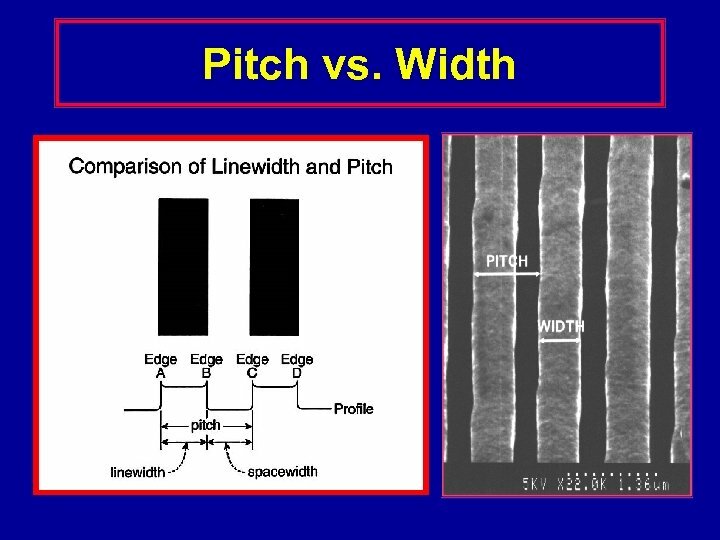 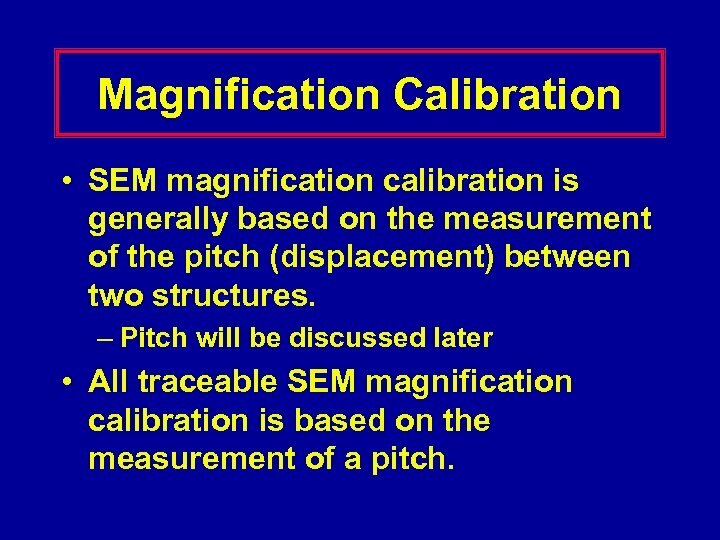 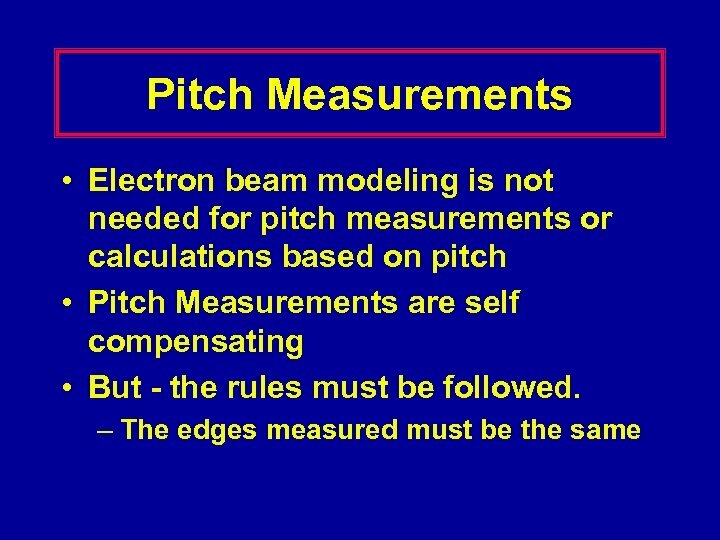 – Pitch will be discussed later • All traceable SEM magnification calibration is based on the measurement of a pitch. 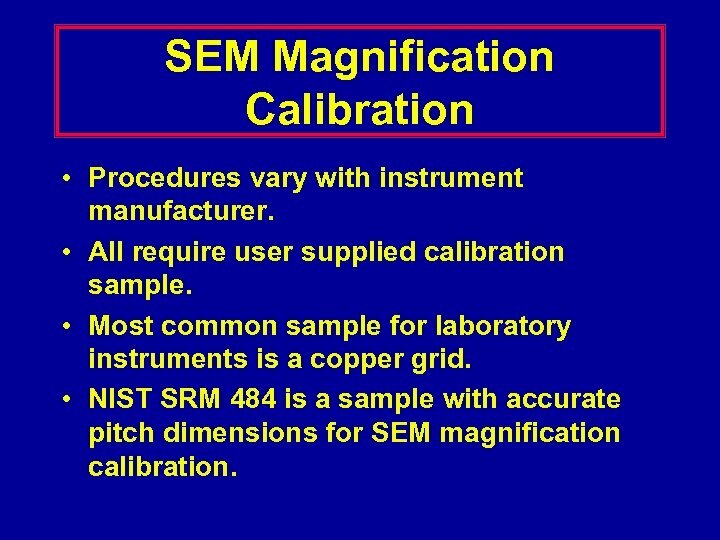 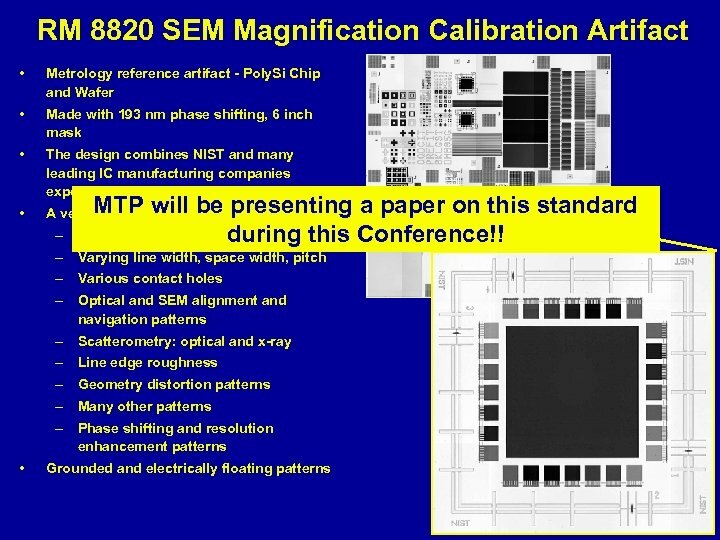 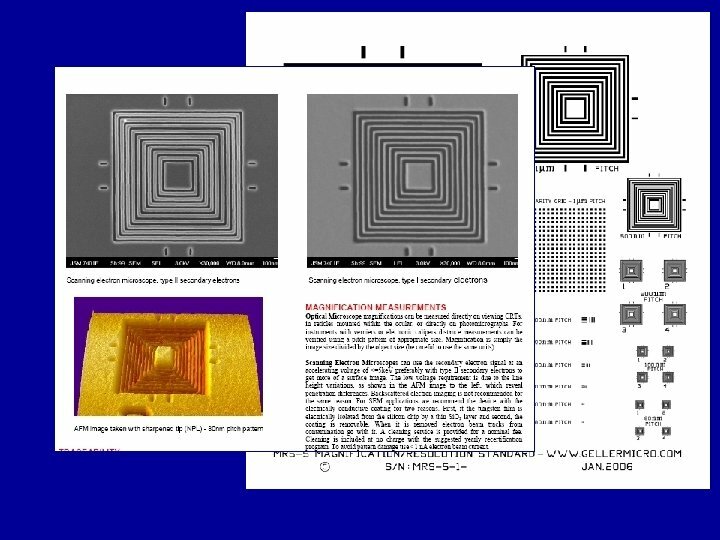 SEM Magnification Calibration • Procedures vary with instrument manufacturer. 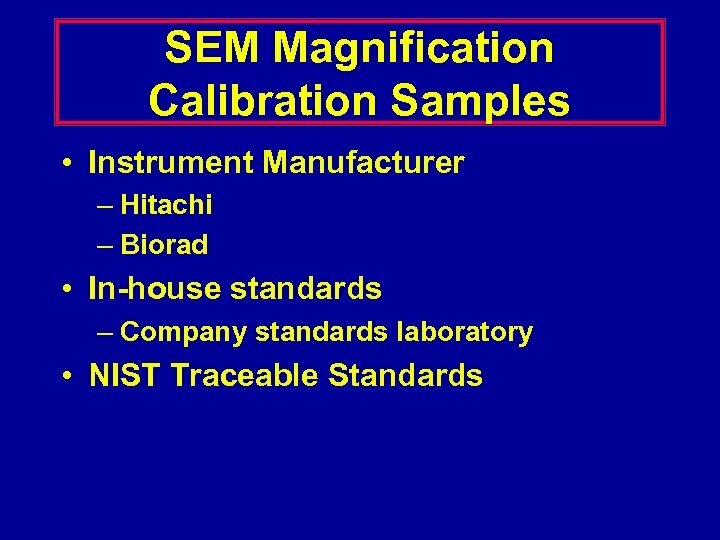 • All require user supplied calibration sample. 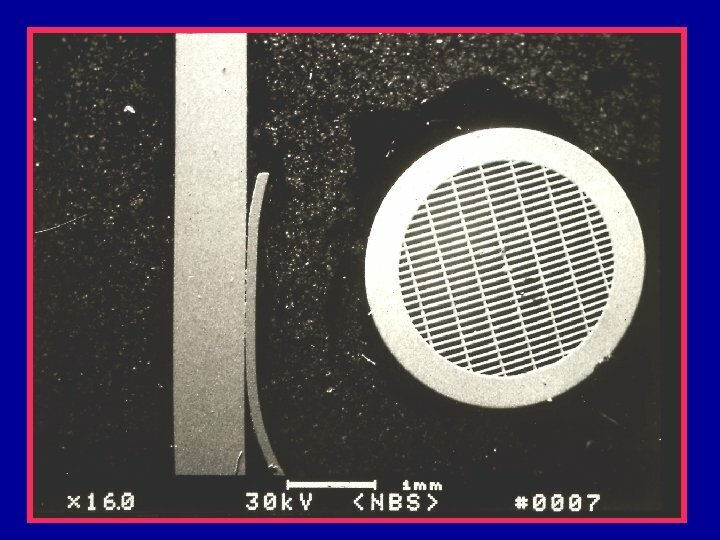 • Most common sample for laboratory instruments is a copper grid. 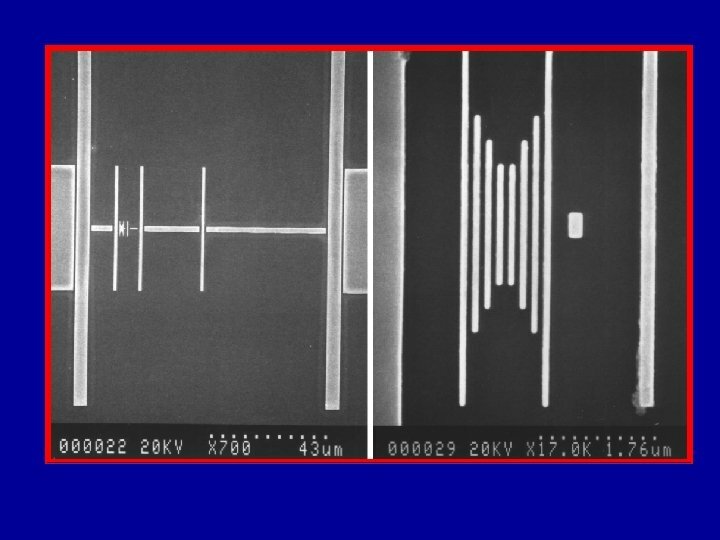 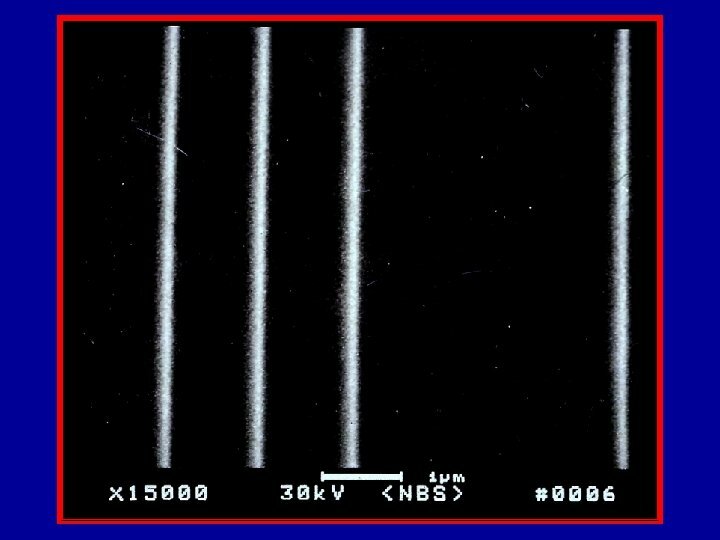 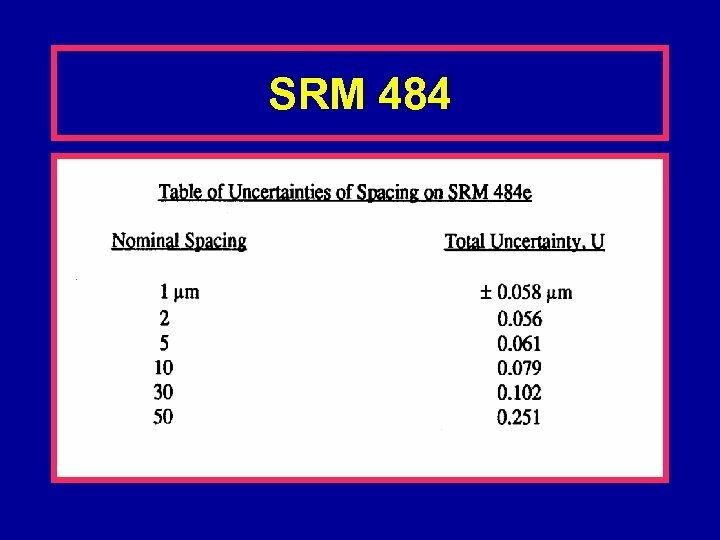 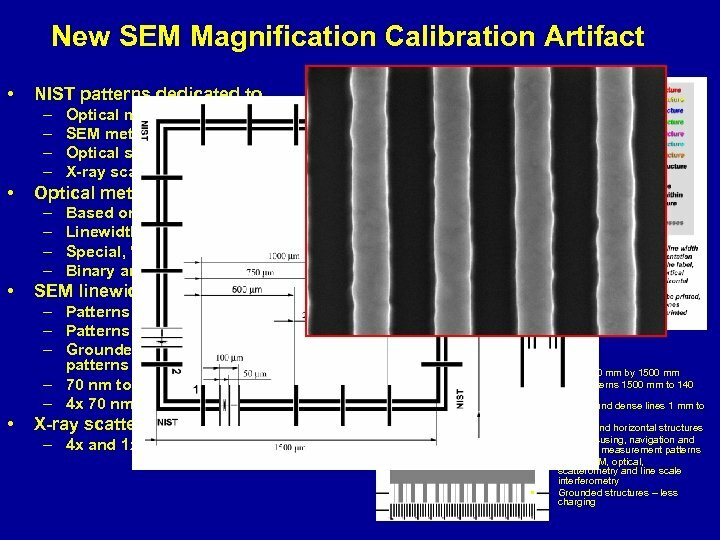 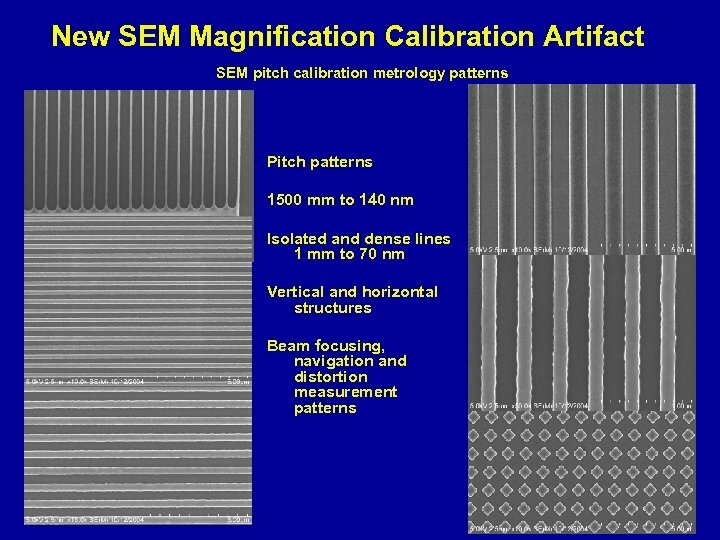 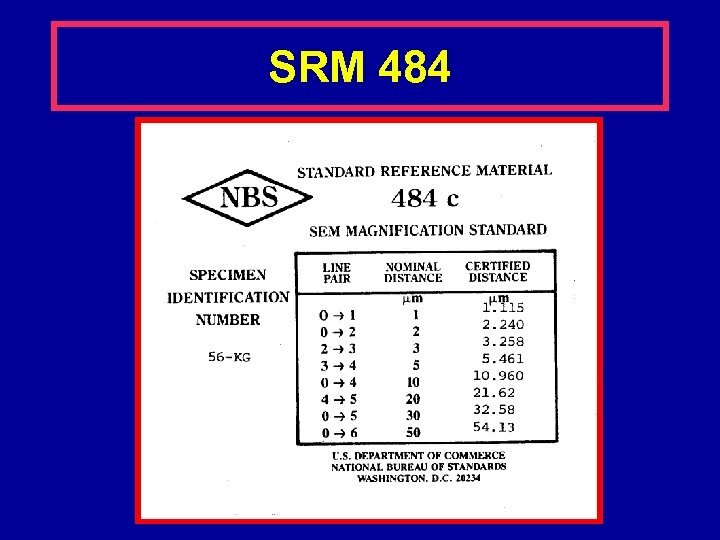 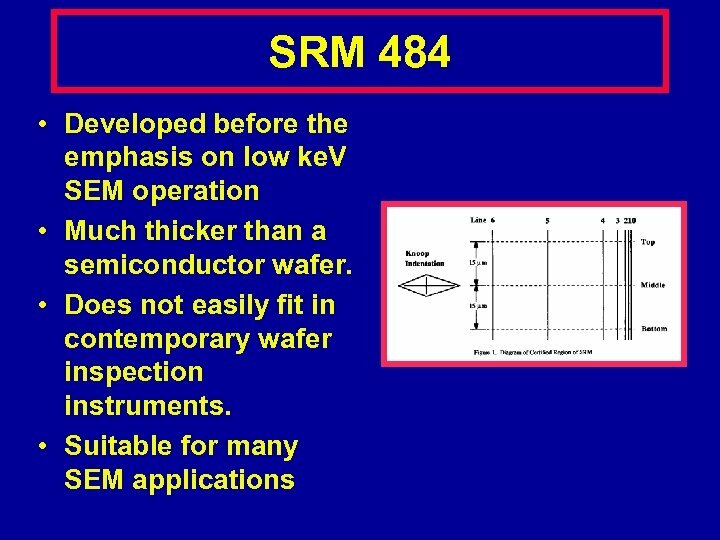 • NIST SRM 484 is a sample with accurate pitch dimensions for SEM magnification calibration. 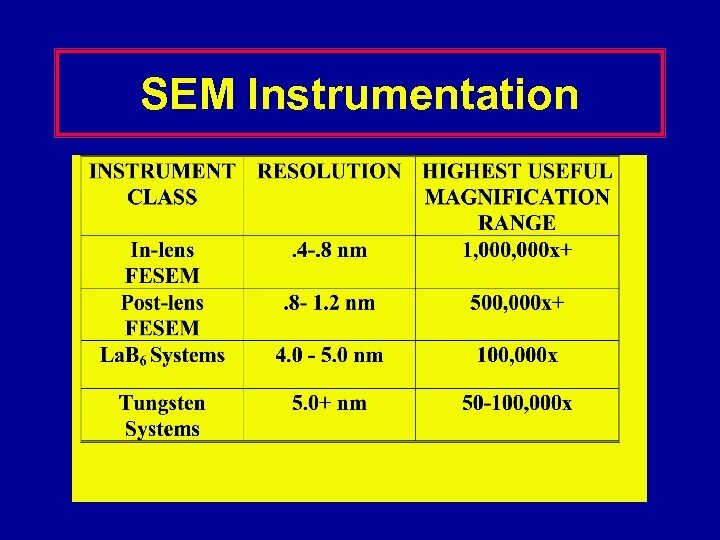 SEM Instrumentation • Vast array of instruments in the field. 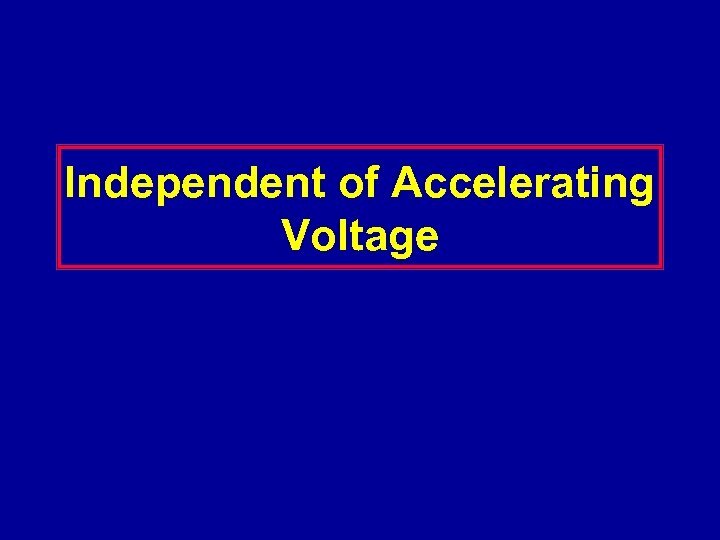 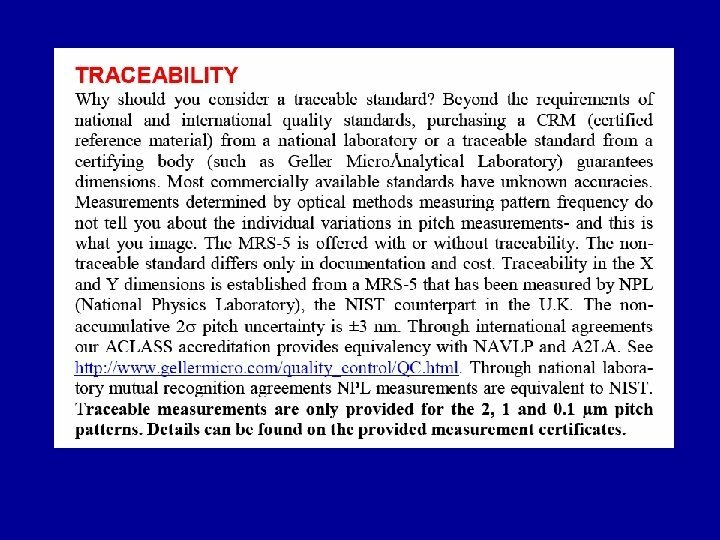 • Performance and capabilities vary substantially. 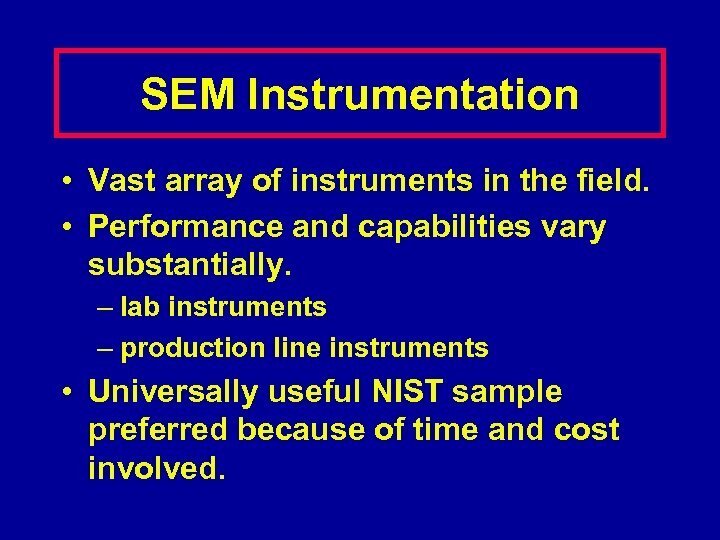 – lab instruments – production line instruments • Universally useful NIST sample preferred because of time and cost involved. 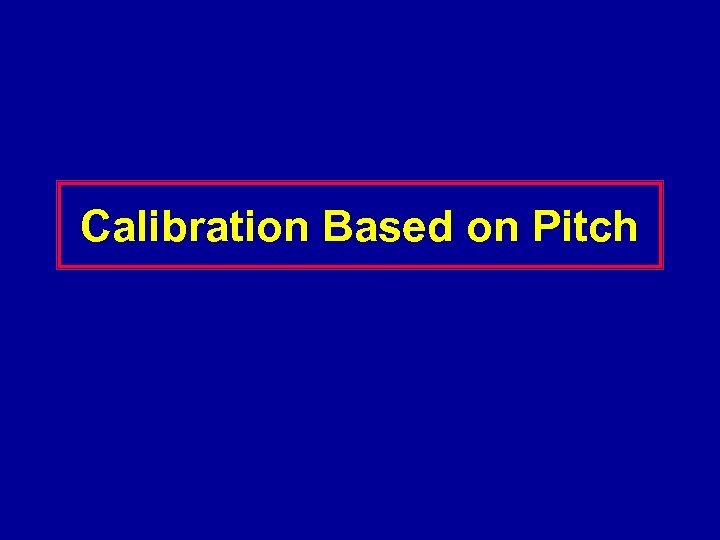 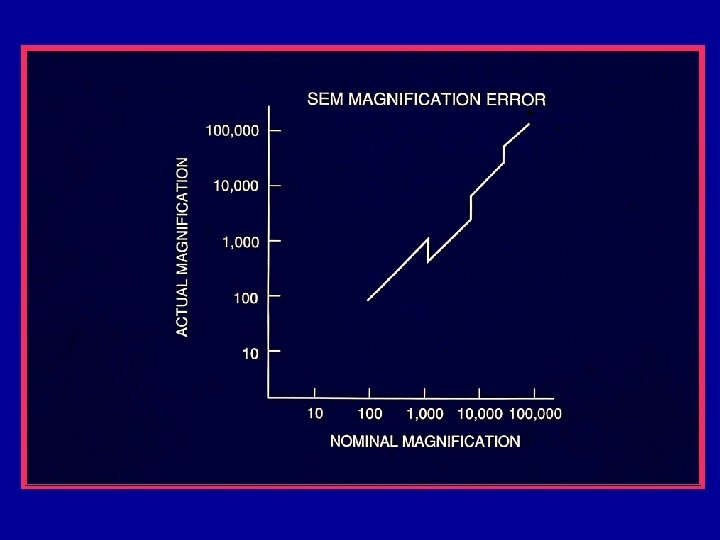 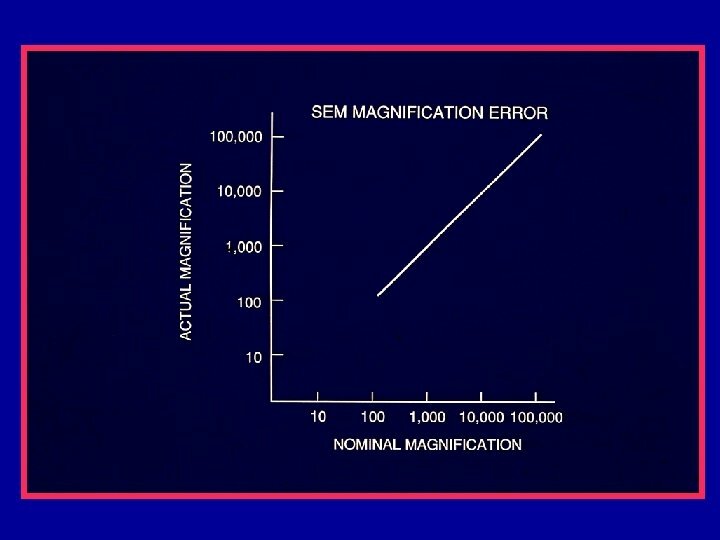 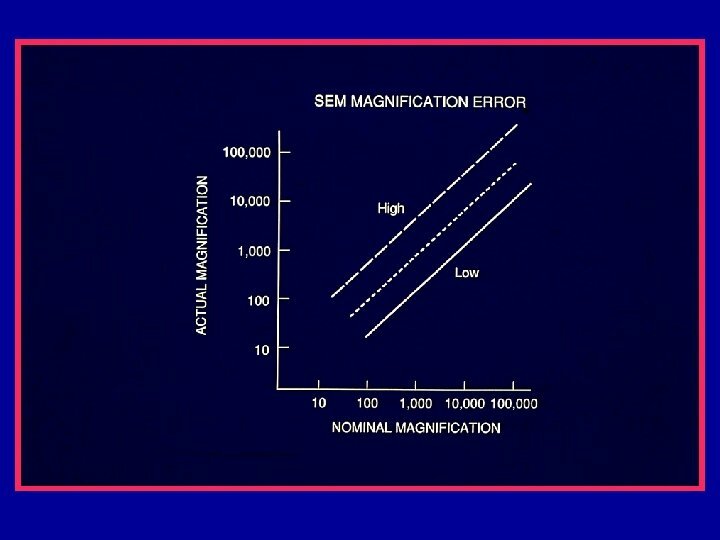 Magnification Calibration • Pitch measurements are considered to be self-compensating. 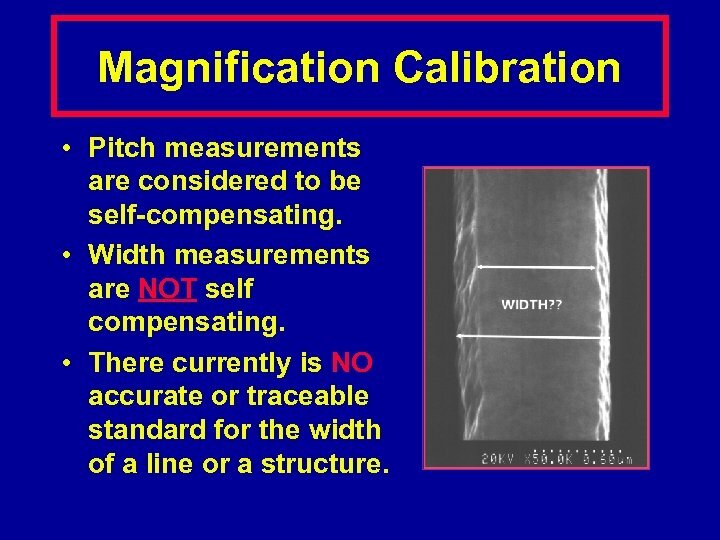 • Width measurements are NOT self compensating. 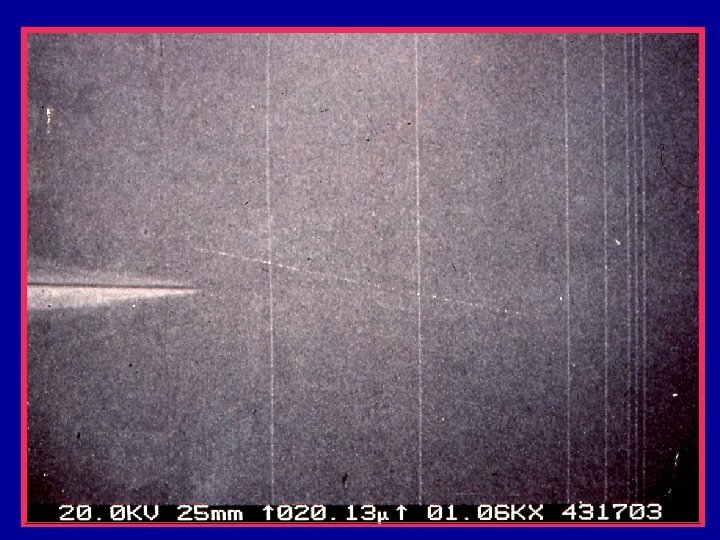 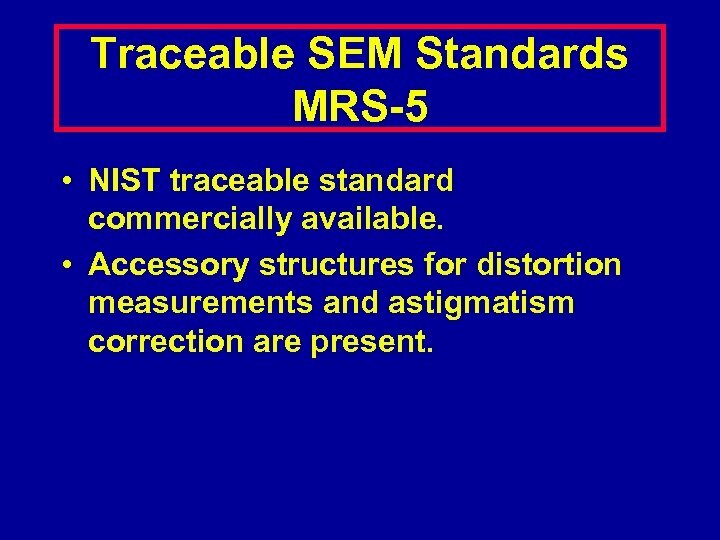 • There currently is NO accurate or traceable standard for the width of a line or a structure. 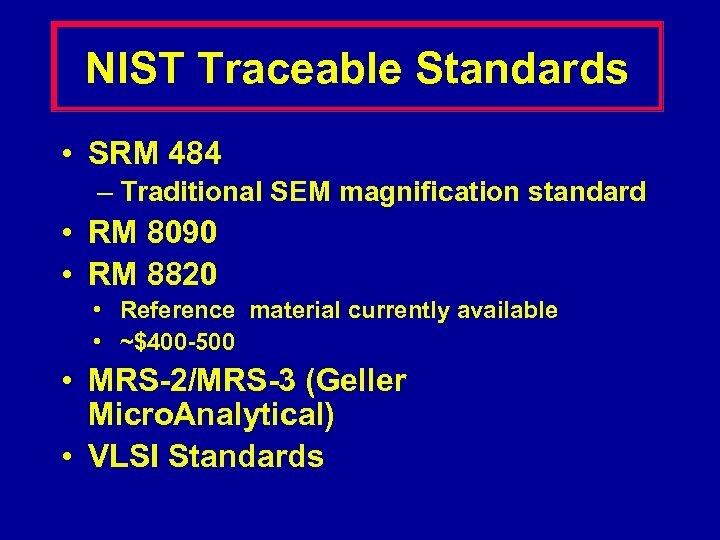 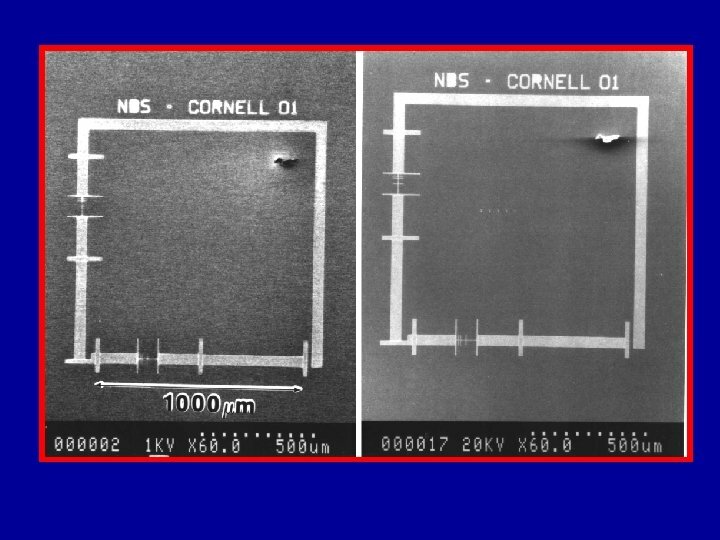 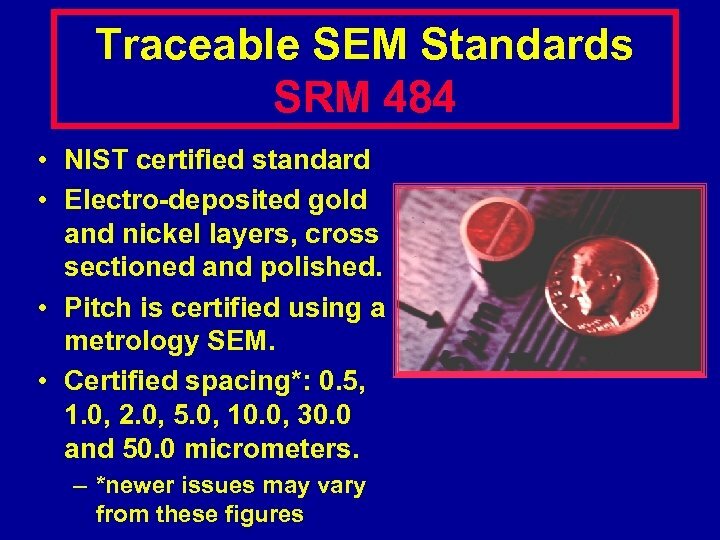 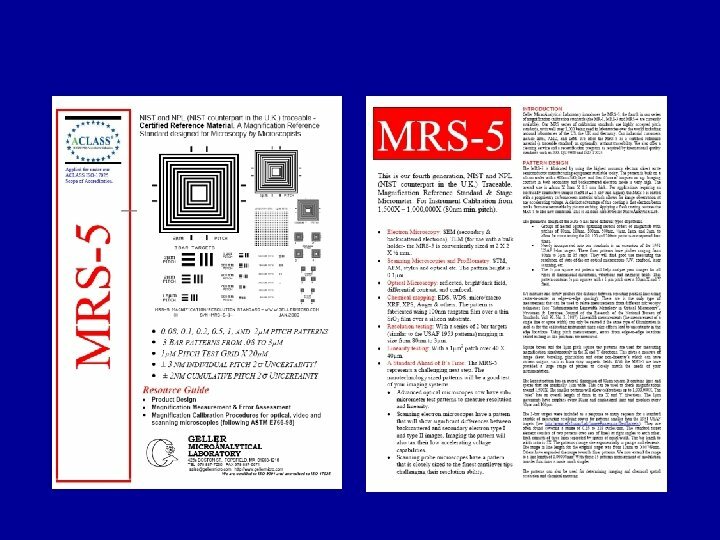 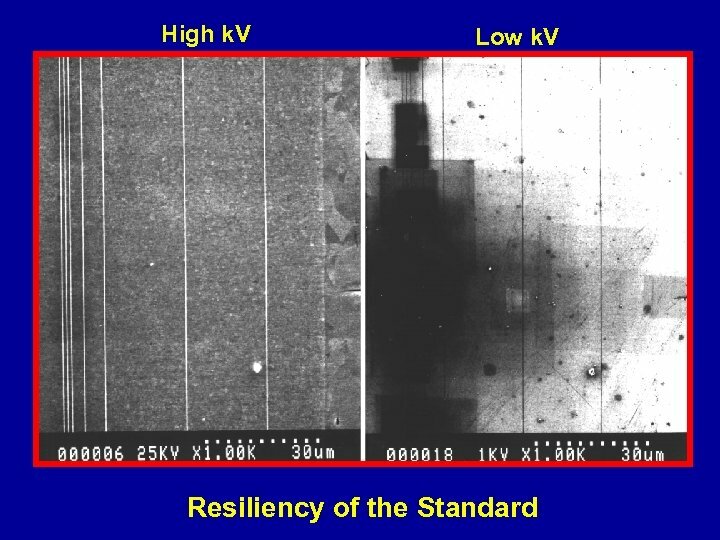 Traceable SEM Standards MRS-5 • NIST traceable standard commercially available. 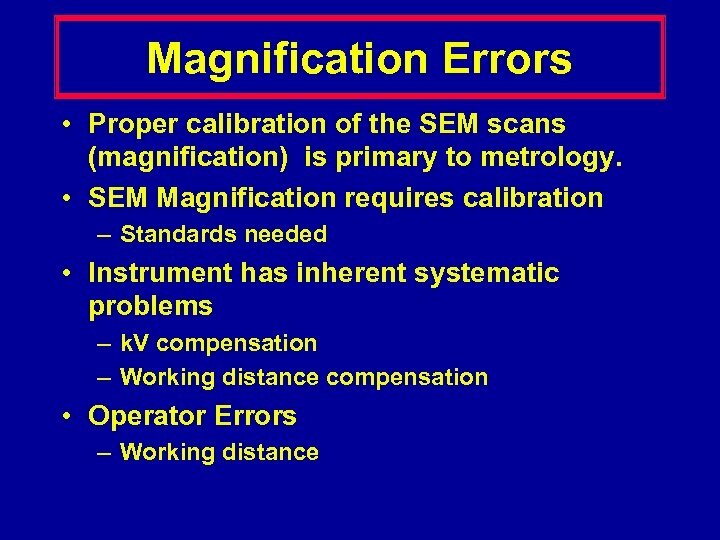 • Accessory structures for distortion measurements and astigmatism correction are present.